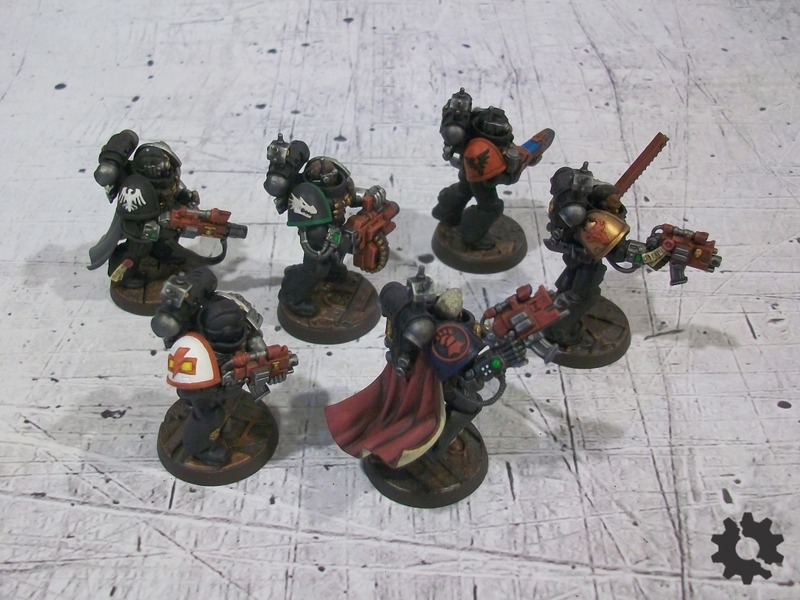 I always liked the background and appearance of the Deathwatch – Space Marine special forces, with the asymmetry of their silver arms and the variety of different chapter badges displayed on their shoulders. 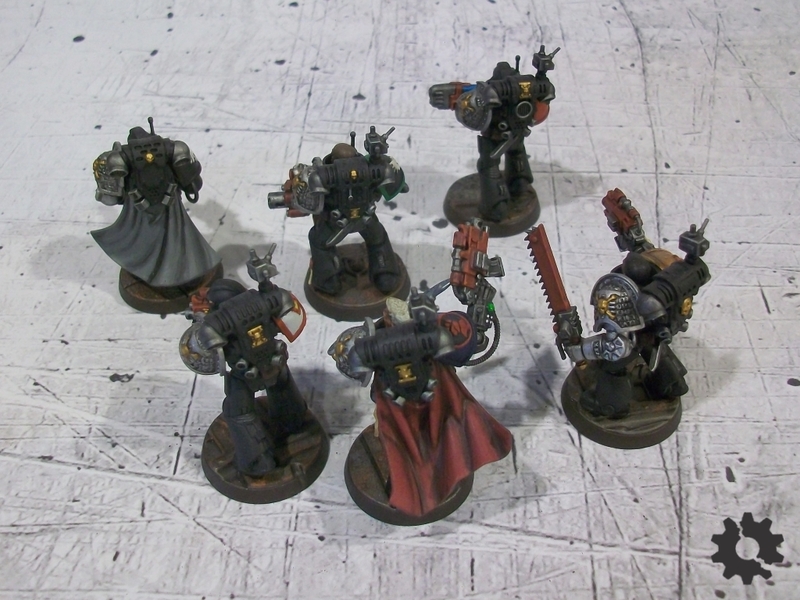 Since my friends and I have been sticking to the 4th Edition rules for 40k and with the release of the Deathwatch in plastic, I decided to put together a small squad specifically for games of Kill Team (what better game type for them?). My friend Sam still had the old White Dwarf issue with the 4th Ed. 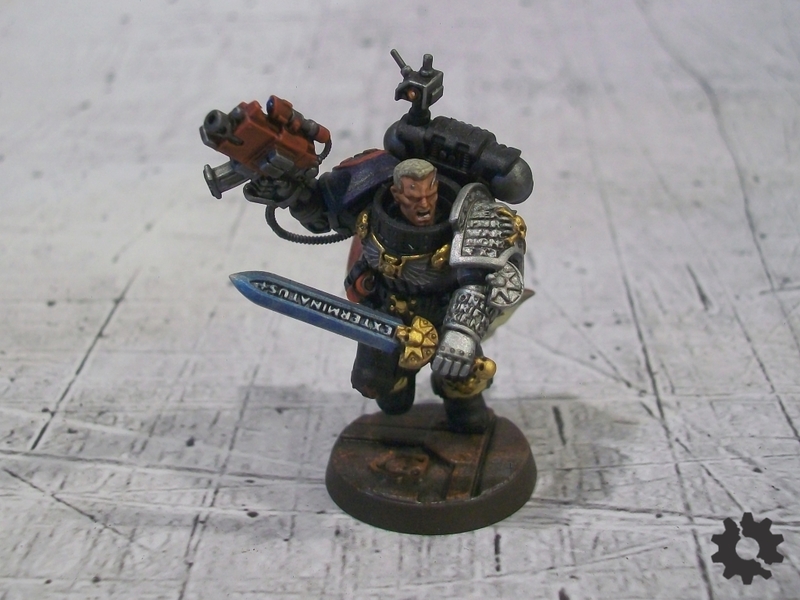 Deathwatch rules, so I picked up one of the battleforce-style deals GW offered when the new minis first came out and sold off what I didn’t need, leaving me with the contents of a kill-team box plus the special character. With a few extra space marine bits and a little converting, Kill-Team Octavius is born! Since there would only be six figures to paint up, I tried to go the extra mile on details such as eye lenses, the various chapter insignia and the cloak on Octavius himself. The black of the armor was a bit of an experiment – from the black undercoat, I tried to apply Vallejo Model Air German Grey at a downward angle using my airbrush, then darken it with Army Painter Dark Tone to push it closer to a pure black while still leaving something in the way of highlights. I may have been a little overzealous when spraying the German Grey, but I’m happy enough with the end result. I tried adding more traditional edge highlights on top of that, but I didn’t like how it was turning out and so abandoned it. I’m quite pleased with the Sector Imperialis bases I chose to use. I don’t think I’d want to use them on an entire army, but they work great for a small squad like this. It took me quite a bit of planning to figure out exactly which chapters I wanted to use, and which figure should go with each chapter. 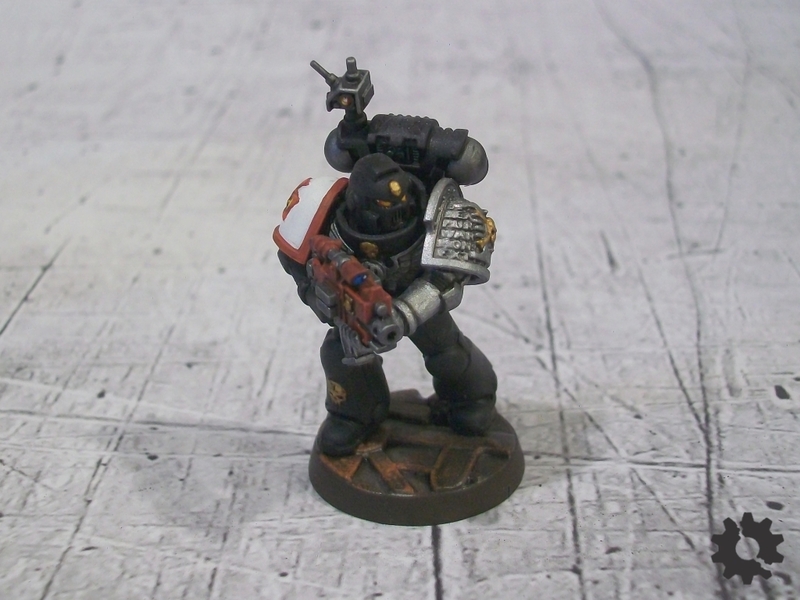 Brother-Sergeant Octavius is a reluctant servant to the Deathwatch – with his Crimson Fists chapter devastated, he fears being elsewhere in their hour of need. Nonetheless, he understands that his duty is to lead his team, a task he pursues to the utmost of his ability. 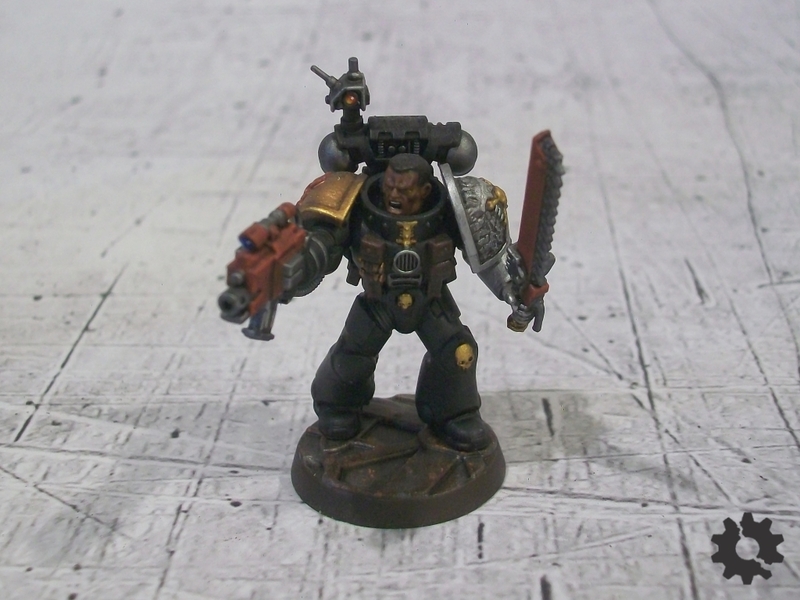 Brother Koba of the Minotaurs chapter is a zealous and hot-headed warrior. 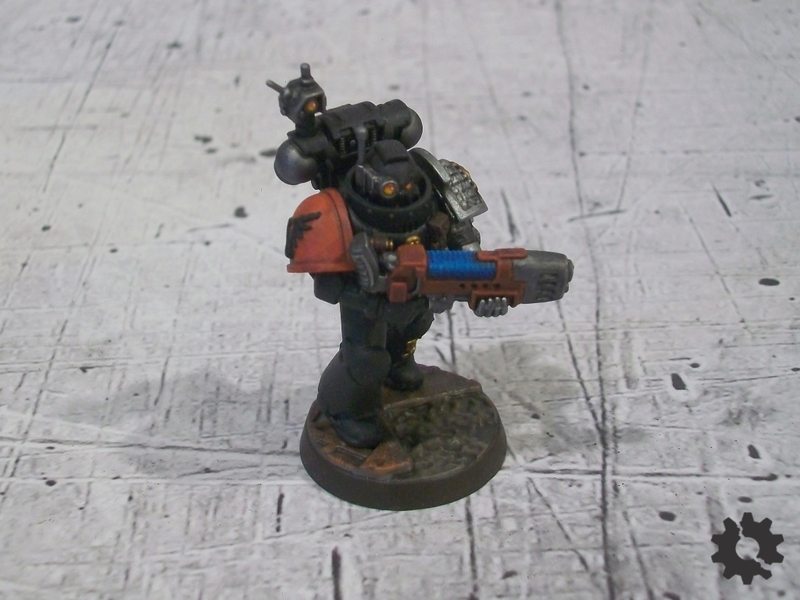 While always eager to destroy the enemies of the Emperor, his temper has led him to clash with other members of his kill-team more than once before. Brother Tavoor hails from the White Scars, and holds his personal honor and courage above his own life. A skilled tactician and marksman, Sergeant Octavius often trusts him as an informal second-in-command if the team must split up. Brother Zeraile exemplifies the traits of the Raven Guard – he strikes from the shadows, cutting down unwitting enemies with surgical precision. Outside of battle, he speaks hardly a word. 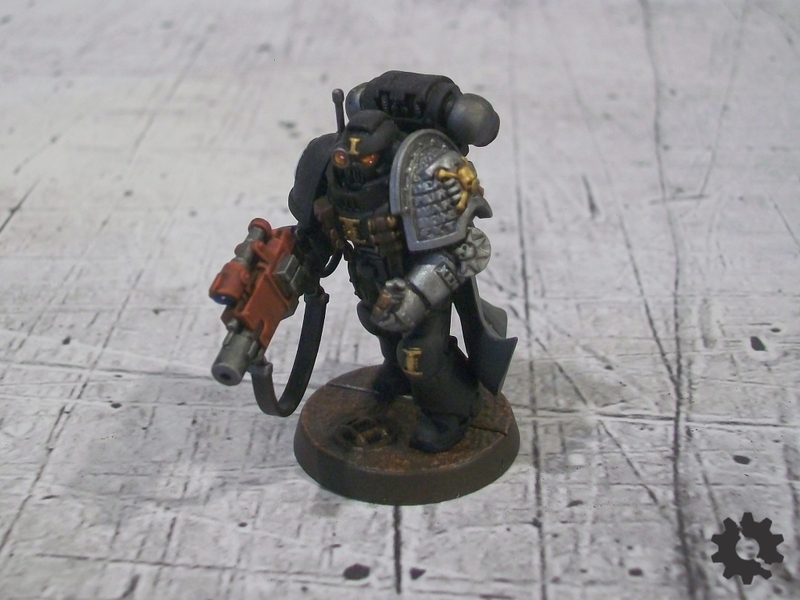 The stout-hearted Brother Hephastion is devoted in his duty to the Deathwatch and his kill-team. 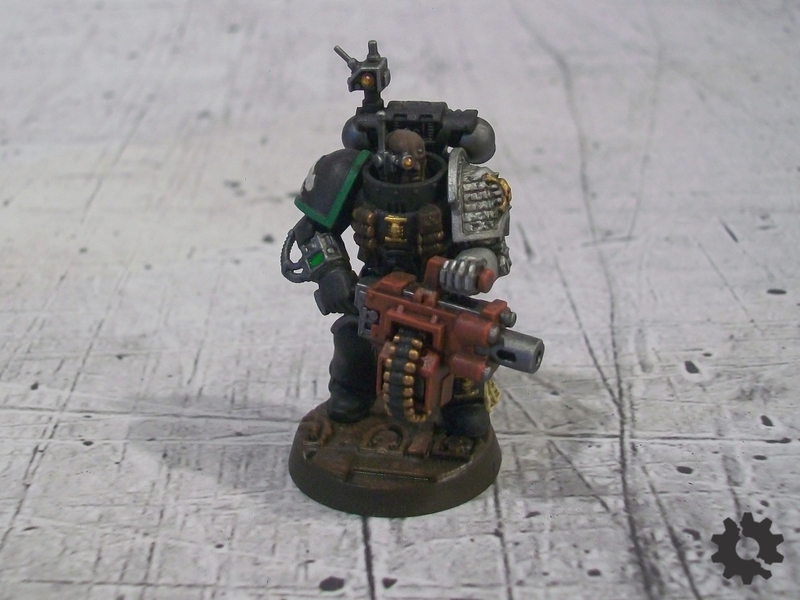 Both his suspensor-equipped Heavy Bolter and the wargear of his teammates always receives his attention before seeing to his own condition. 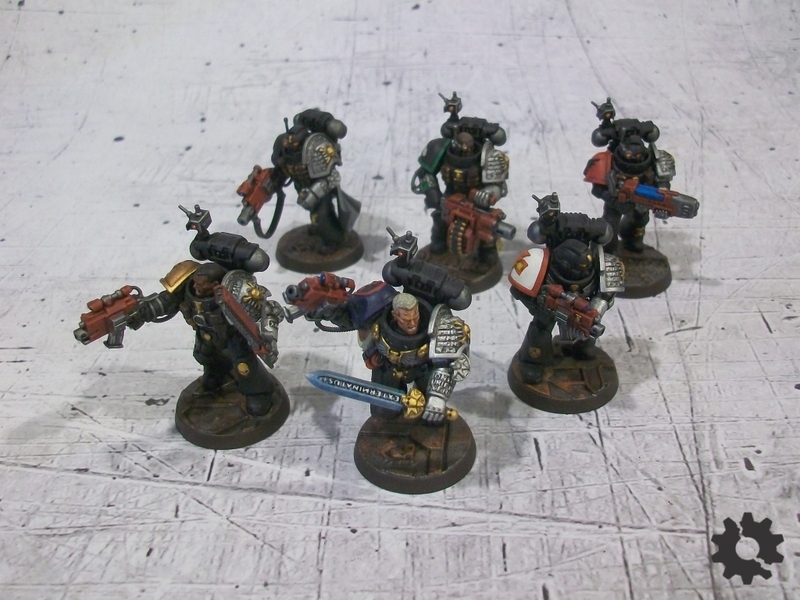 Kill-Team Octavius stands ready to destroy the enemies of the Emperor!